For a while now, award-winning Swedish developers Toca Boca has been churning one successful app after another. They've created apps for designing clothes, constructing landscapes, and more recently, making your own 3D dolls. 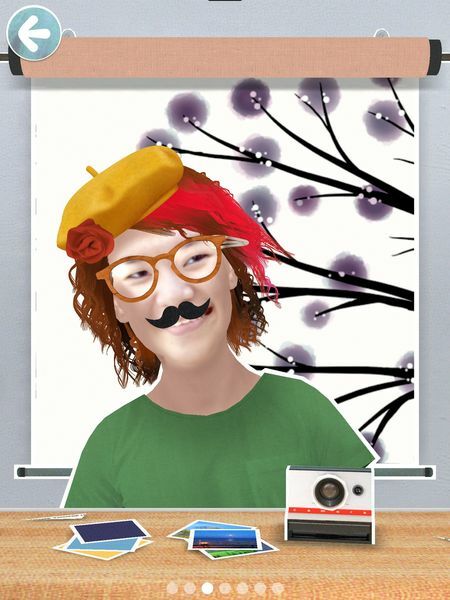 But their bestselling app remains Toca Hair Salon, a playful app in which juniors get to experience hairstyling fun. The app was so popular, a sequel was released last year, which introduced new characters, tools, and accessories. Now, a third follow-up app has been released. The new app is called Toca Hair Salon Me, and it comes with twist: instead of playing with premade characters, kids can now style characters made using photos of themselves, their family, friends, and even the family pet. Creating your new character is easy. Simply choose a picture from the Camera Roll (or snap a new one using the device's camera), and pick a head shape that best fit your photo: round, oval, pointed, or angular. You can straighten or zoom in on the picture to position it perfectly within the face template. Next, you are asked to point out the positions of the eyes and the mouth in the picture. The app usually does a great job in recognizing these features, but you can manually adjust them as necessary. That’s it, really. When you tap on the next button, your character should magically come to life. They'll blink, smile, and make noises as you style their hair, just like the premade characters in the previous Toca Hair Salon apps. The tools have been left unchanged. You’ll be able to curl, crimp, and color hair just as you did in Toca Hair Salon 2. However, there are several improvements, such as a wider range of hair colors and brand new accessories including fake moustaches and hats. Finally, you can also take pictures of your character using the in-app photo booth. It is worth mentioning that the photo booth has been updated with the feature for using your own photos for backdrop in addition to the plain, colorful ones supplied in the app. 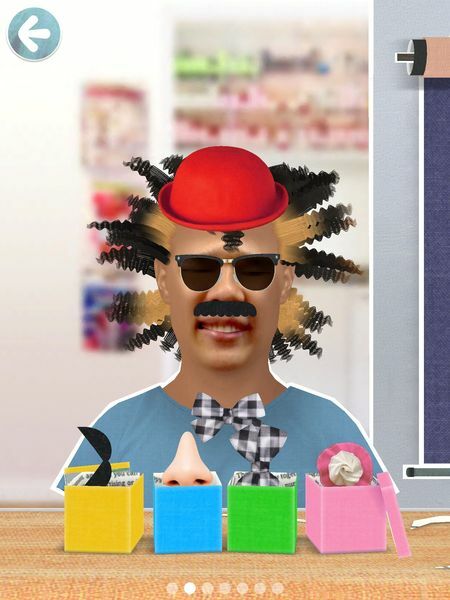 Toca Hair Salon Me is a unique iteration of an already fun app. Like the original version, the app provides open-ended play which encourages kids to be creative and imaginative. It is suitable for juniors ages 3+. Take your picture in a well lit room, and avoid shadows on the face. Otherwise, your character may have uneven skin tone. Try to avoid using the front-facing camera unless you have newer devices -- iPad 4 or newer -- which have better cameras. Front-facing cameras produce low resolution pictures which may cause your character’s face to look grainy and blotchy. Keep your hair (bangs included) away from your face. The app only uses the center area of your face to create your character (see the face template screenshot), so any bits of hair in the picture will look out of place. Remove glasses before taking your picture. You can always add them later! Avoid standing too close when taking your photo, so you’ll have enough room to position the face in the template. The official Toca Boca guide recommends a distance of 1 meter (3 feet). Use a “straight on” perspective. Keep the camera lens right in front of you when taking a picture. Like all other Toca Boca apps, Toca Hair Salon Me does not contain ads, in-app purchases, or links to external sites. Folks, Toca Boca has done it again. They took an already amazing app and turn it into a completely fun, completely new experience. I thought that changing only the characters couldn’t affect the app that much, but I was wrong. it is exactly what makes Toca Hair Salon Me more interesting. Because you get to use your own pictures, the app feels a whole lot more personal (and hilarious! I had way too much fun putting silly mohawks and rainbow afros on my boyfriend’s head, much to his disapproval). It also means that you get basically an infinite array of characters versus four in Toca Hair Salon 2. The execution is flawless, too -- I expect nothing less from Toca Boca. The face recognition feature works great, and the resulting characters animate smoothly. I am impressed how well the app matches the character‘s skin tone to your photo, even when you are using a photo of your pet. Toca Hair Salon Me takes the fun gameplay in Toca Hair Salon and Toca Hair Salon 2, and makes it personal. This excellent toy allows kids to run their own virtual salons AND be their own customers, too. I’m pretty sure this is going to be a hit during family reunions.